I’m Matt, a professional wedding photographer. 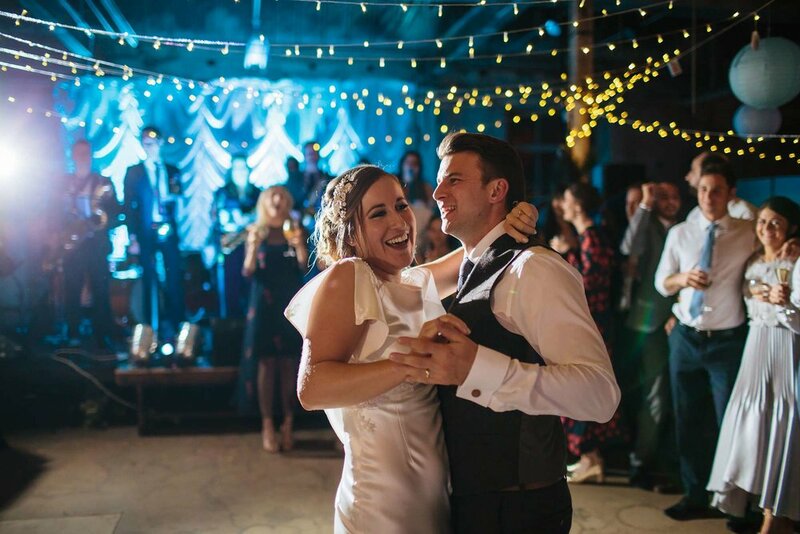 I live in Leeds and many of the weddings I shoot take place in Yorkshire, although I do love to travel and have photographed weddings all over the country as well as abroad; my passport is always up to date! I like to have fun whilst shooting your wedding, helping your guests and yourself to relax in front of the camera so I can capture the true essence which makes your day so special. I enjoy telling a story with the photographs, from the early morning preparations with a glass of bubbly, through the ceremony and speeches to the dancing and letting your hair down. Every wedding is different, and finding the quirky and unconventional aspects that make your day unique is a lot of fun for me. If you want to walk down the aisle in a pair of Doc Martens - I say go for it! If a friend’s baby decides to wail uncontrollably during the quiet part of your ceremony - I think it’s hilarious and makes for a cracking photo! If it rains all day long - I’m happy getting soaked through if you are! The unexpected moments are the ones that you remember for years to come, and I absolutely love documenting them. I don’t like to spend too much time taking formal group shots, I much prefer the more natural and unobtrusive approach and my passion is creatively capturing every moment during your wedding day. Everything from the monumental to the unnoticed can make for a truly extraordinary image: the confused mother watching a YouTube tutorial while lacing up her daughter’s dress; the proud father with a teary eye as he walks his daughter down the aisle; the puzzlement on guests’ faces upon discovering the quirky table centrepieces; or the group of school mates performing a late-night booze-fuelled Can-can on the dance floor. I don’t like to order your guests around and tell people where to stand - as a result my organic approach generates relaxed, natural and honest images, meaning during the day you can relax and concentrate on enjoying every second while I take care of the rest. A happy couple is most definitely a photogenic couple! I have a keen eye too for breathtaking backdrops and luscious lighting to create spectacular couple portraits. If you’re a little anxious about being in front of the camera I can assure you we’ll have a laugh and enjoy ourselves, helping to create those relaxed and informal photographs. Have a good look through my portfolio page (if you haven’t already) to find out for yourself. If you like what you see hit the contact page and tell me about your wedding - I can’t wait to hear all about your plans! That's Bea and I cracking out a selfie at Yorkshire's Brimham Rocks one cold January afternoon. Here's some of the things I enjoy: walking in the Lake District, bluegrass music, The Grand Budapest Hotel, buying artwork for my walls (mainly from Drew Millward and my folks at The Crail Gallery), colourful socks, Sunday roasts at The Adelphi, Frasier, drinking beer from Cloudwater Brew Co, travelling, Aagrah, bagging Munros, O Brother Where Art Thou, watching Scotland play rugby at Murrayfield and drinking coffee at Laynes. 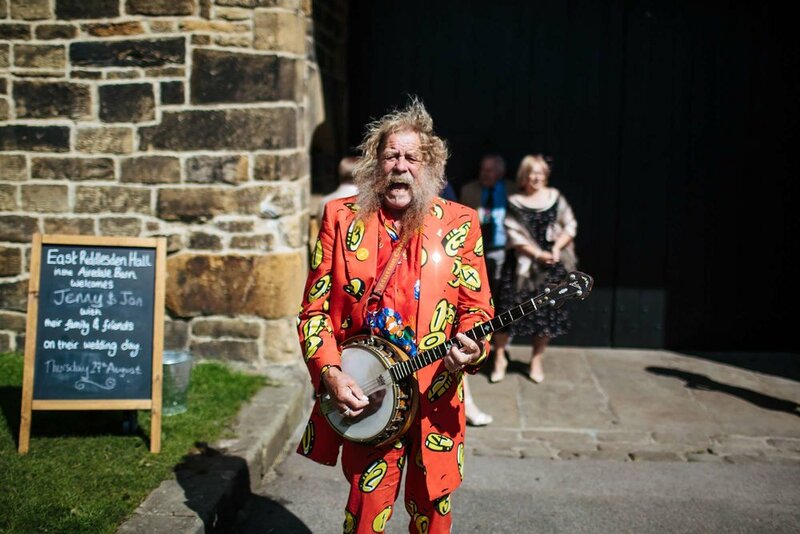 I have a degree in music from Leeds College of Music and worked as a freelance musician for nearly ten years before making photography my full time job. I've included a rather eclectic Spotify playlist below with some of the music I enjoy playing / listening / dancing to - enjoy! Some of the venues where I've recently photographed weddings (and loved) have included: East Riddlesden Hall, Sela Bar, Leeds Town Hall, Rudding Park, Forgan's, Dimple Well Lodge, Thornton Hall Hotel, Sandburn Hall, Craven Arms, Hornington Manor and Oakwood Hall, amongst many other tipis, barns, farms, mills and even museums! As well as photographing weddings, I also really enjoy shooting landscapes. I have a small selection available for prints and you can view them by clicking HERE.